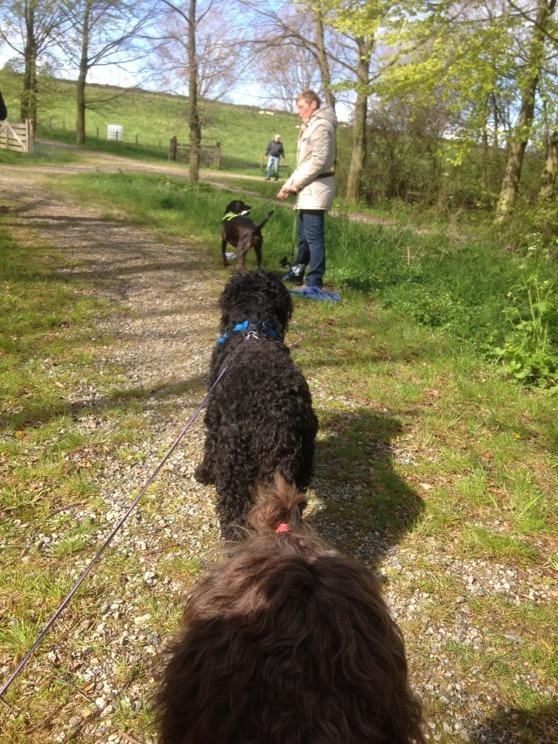 Today I took Yatzie and Moët to a new tracking course. Not that they need to learn to use their nose - they know it too well ;-) - but they could learn something about using it the way I want them too :-) ! It is so nice to do things together and they really enjoy it. 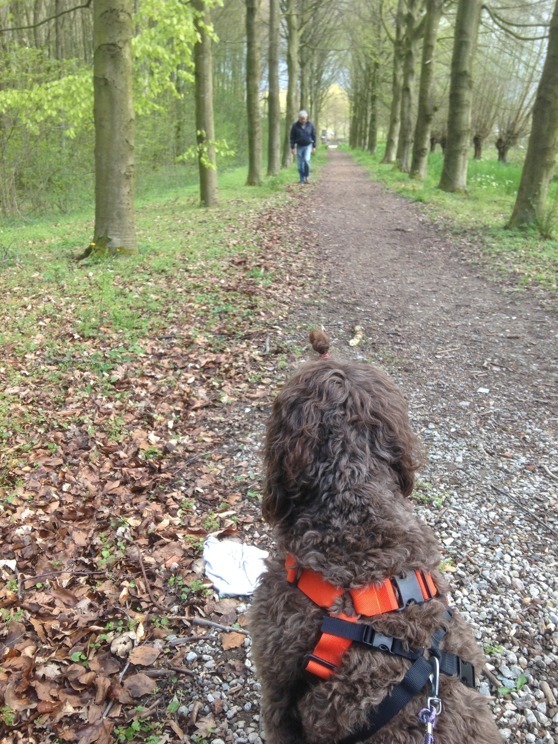 The task was to follow the track of the coach and find an object at the end of the track. They performed excellent! I take both of them with me and train one after the other. It works fine. It is also good training for the one that has to wait patiently for her turn!